Nicolas Poelaert spent time in France’s Lozere region. The locals provide some of the best meals going. What’s a French meal without cheese? 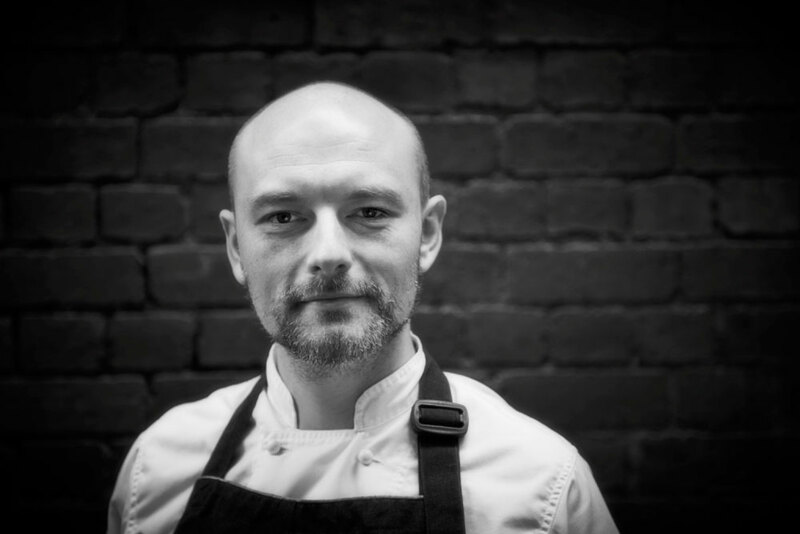 Award-winning French-born chef Nicolas Poelaert chats to IT about his favourite childhood memories, his final meal request and the great French love affair – food. Q: You’ve worked all over the world – Paris, London, Scotland and Melbourne. Where should travellers go to seek out a great meal? France is one of my favourite places to go. I’ve been living in Australia for about 14 years but I love going back to France, though I wouldn’t go and live there again. Q: When friends ask “where should I eat in France?” what do you recommend? Just jump in a car and get lost in the countryside of France. You’re going to find beautiful restaurants where you never expected them to be. Q: What are some of your favourite memories of doing that? When I was a kid, my mum and dad had a caravan in the south of France in the Lozere region. It’s a beautiful part of France, really raw. It’s also one of the poorest parts of France. They’ve got a lot of sheep and a few cows and that’s it. So they sell meat and make cheese. They’ve got one of the biggest blue cheese (Roquefort) factories not far from there. We would walk into one of the villager’s houses – an old building probably from the 1400s. There was this long table in the middle of the room and the owner would cook duck, chicken and rabbit for us. One of her daughters made some wine during the year, it was not the best wine in the world but a very nice table wine. Her son worked for the Roquefort factory, so he made some of the cheese. She made her own pâtés and everything. You might sit there on the long table next to a farmer from up the road or some guys who have just been hunting and the wild boar is hanging on the wood fire place. It was amazing. The lady’s called Marionette and the village is very small. It looks like a little fortress. There was only about 10 people who lived there. The house had been passed on from family to family. You may have to drive for a couple of hours to get there today but it’s the most amazing landscape and then you have a really traditional meal from that region. That’s what I like when I go back to France. I don’t go and eat in three, four Michelin star restaurants. Q: What was it like cooking in the kitchen at Michel Bras [three-star Michelin restaurant in south of France]? It was a really different kitchen to anywhere I’ve been before. It was a big kitchen, there was a lot of staff there. Everyone was working with the same drive. It really changed me as a person, as a chef. I mean cooking is great but it’s not just about the cooking, it’s also about the human being, the producers, the farmers. We have to respect those factors and with that we can do great cooking. Q: Scotland is not known for its food, it must have been challenging working there. The first time I moved to Scotland, I lived in Aberdeen and the second time we were in a small village named Grantown on Spey, north of Scotland. It has amazing beef and wild produce like rabbits, hare, geese, ducks. The fish and scallops are just amazing too. And the people are beautiful and really, really welcoming. Q: Did you have any favourite restaurants in Scotland? I think Edinburgh is the food destination. Martin Wishart has been there for a long time and is doing some amazing food. There’s Kitchin and they’re doing some really great stuff as well. Q: If you could dine in any restaurant around the world for one final meal, which one would it be? The thing that comes to mind is the first weekend when I get back home, my mum and dad invite all my family over – aunties, my brother, his wife and kids, a couple of cousins… She puts the long table in the living room and we sit down around 12pm and have aperitif until 3pm and that’s when lunch starts. After 7pm we’re still at the table. Q: And what would be on the table? 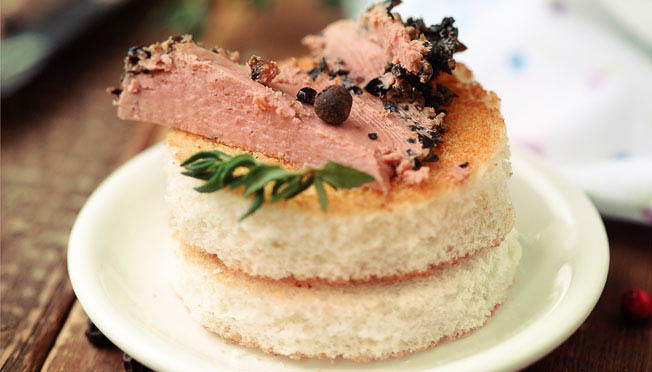 If my mum is cooking it would probably be foie gras, a pâté, liver mousse, a few toasts, a few peanuts or something just to have with our aperitif. She does a really beautiful potato and bacon soup, so that would probably be the first course. After that, she does some beautiful vol-au-vents – like a little cylinder of puff pastry filled with scallops, Béchamel sauce and bread crumbs on top and grilled. Probably pigeons, too. When my grandfather was still alive she always put pigeon on the table because he used to love it. And after that, a roast beef with peas, carrots, leeks and other vegetables. Then probably a plate of cheese. And then a tart. She serves beautiful flan which is like a crème patisserie – a custard tart, basically. Or a Frangipani tart with some pear. And after that maybe some little chocolates for the table and everyone has a little cognac. Nicolas Poelaert is co-owner of Brooks of Melbourne.